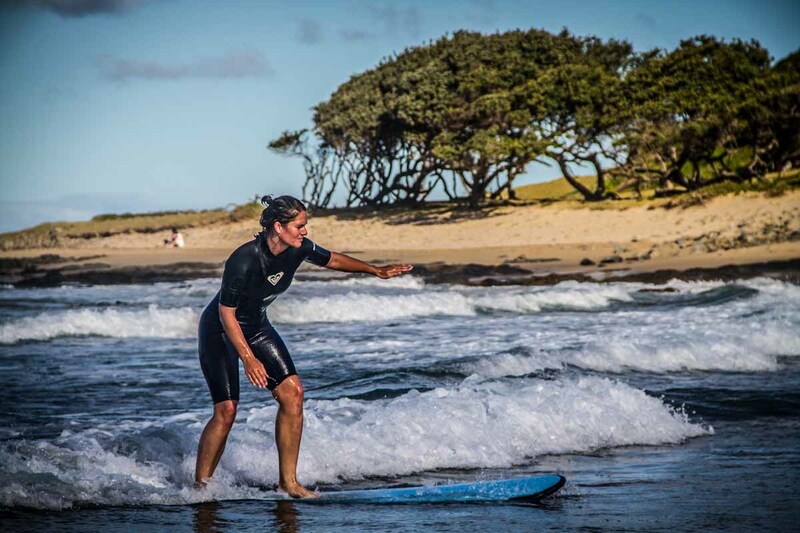 Surfing is high on the agenda at Coffee Shack – owner Dave was a Pro-AM World title holder and still continues to surf competitively. 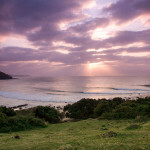 Coffee Bay has pristine beaches that cater for all levels of surfing. The Indian Ocean provides us with warm, blue sub-tropical conditions with a pleasant average water temperature of 20.5C/69F. Coffee Bay main beach consists of a point and beach break. Coffee Bay Point usually offers a gentle smooth ride right breaking wave which is ideal for beginners looking to catch their first green wave. 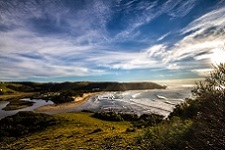 Whilst Coffee Bay Beach break can be more variable with waves suited for all levels of surfing. 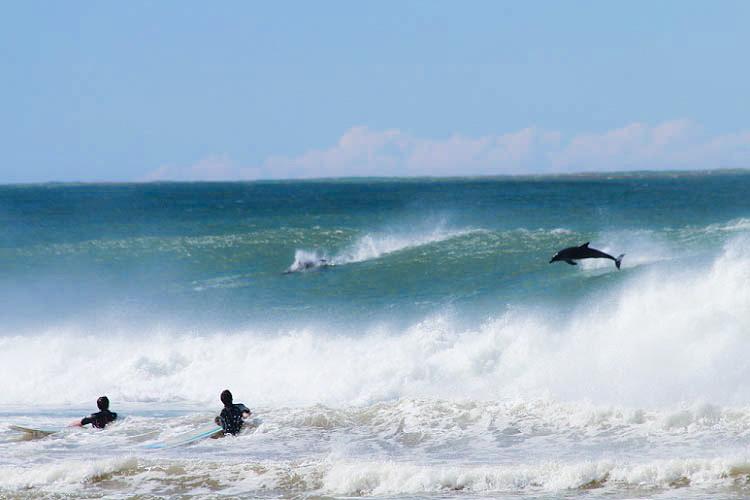 Occasionally if you are in luck you can score waves in Bomvu Bay, situated directly in-front of Coffee Shack. 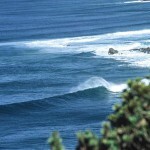 However this wave is for experienced surfers only as it breaks on a shallow rock-bottom. 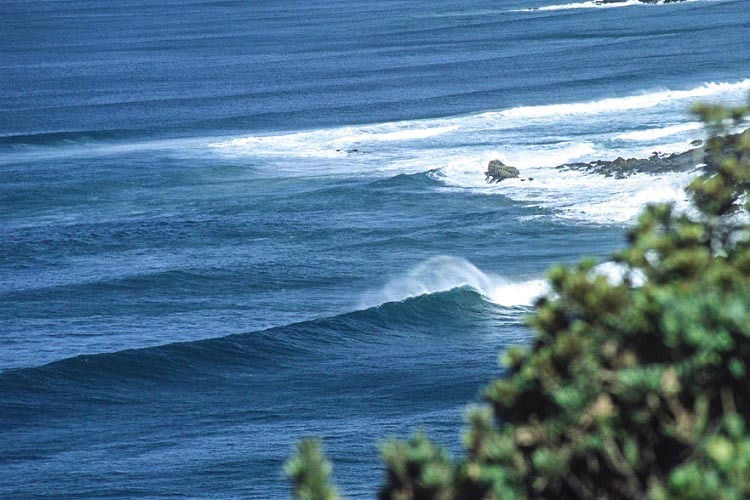 Coffee Bay enjoys consistent waves, and it is rare to find a day where there isn’t a wave to be surfed. With the beach to ourselves most of the year, the soft easy, gentle gradient of Coffee Bay beach makes it the perfect spot to learn to surf or to work on improving your surfing technique and skills. 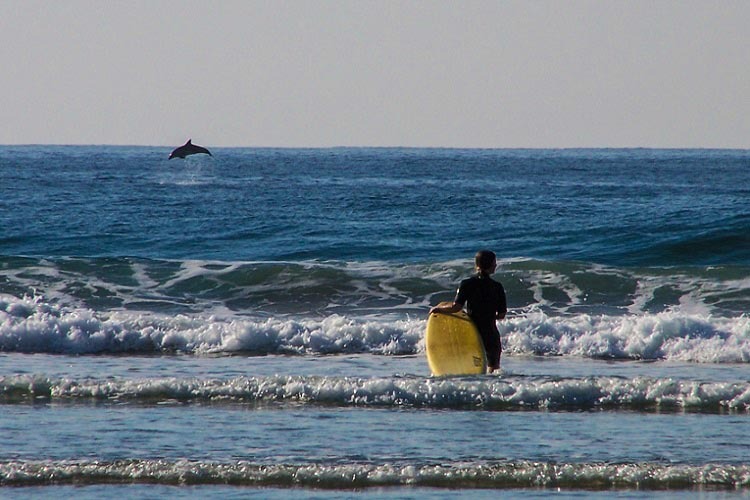 Conditions are often perfect for lessons with super safe, waist deep water for your surf lessons. We use the best learner specific soft boards, and as you progress we can also supply more advanced boards for the intermediate surfer. 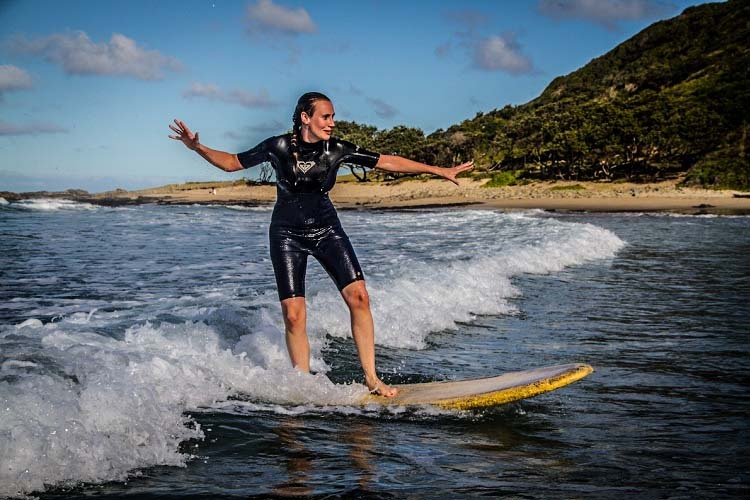 Our focus is on you learning to surf quickly, effectively and with style; secondly as with all things ‘Coffee Shack’, is that you have ‘FUN” and enjoy the experiences whilst learning something new. 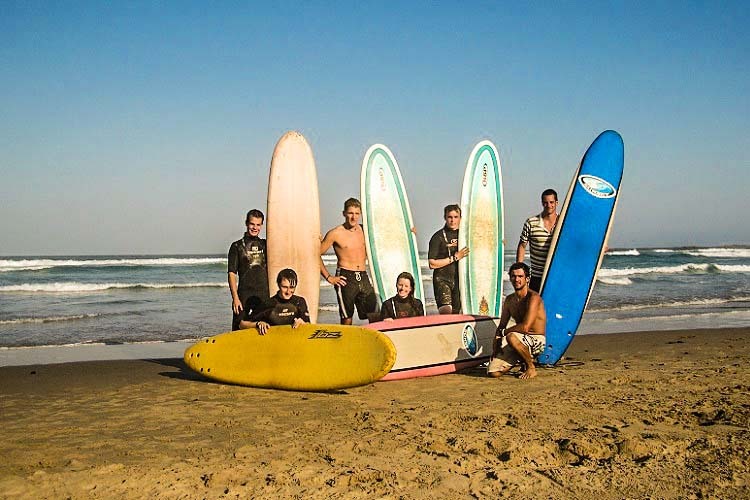 Surf lessons are given by our patient, skilled, professional instructors and we have always gone out of our way to have the cheapest, best quality surf lessons in the world, they used to be ‘free’. 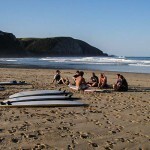 Now a surf lesson costs ONLY R70 ($5usd) for 2 hour lesson, with board and wetsuit included. 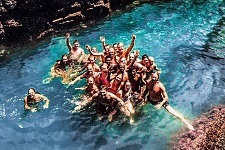 We never have more than 5 surfers in a group, so you are ensured enough personal attention. 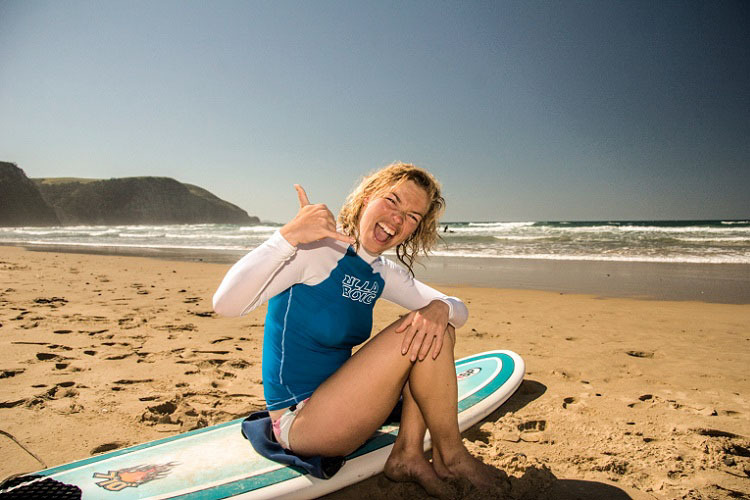 Lessons are not only on offer to beginners, we are also equipped to offer lessons to intermediate surfers or advice to the more advanced. Experience a solid 5 days of surf madness. 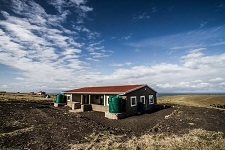 In this package we equip our guests with the essential knowledge necessary to go make a success of your surfing. 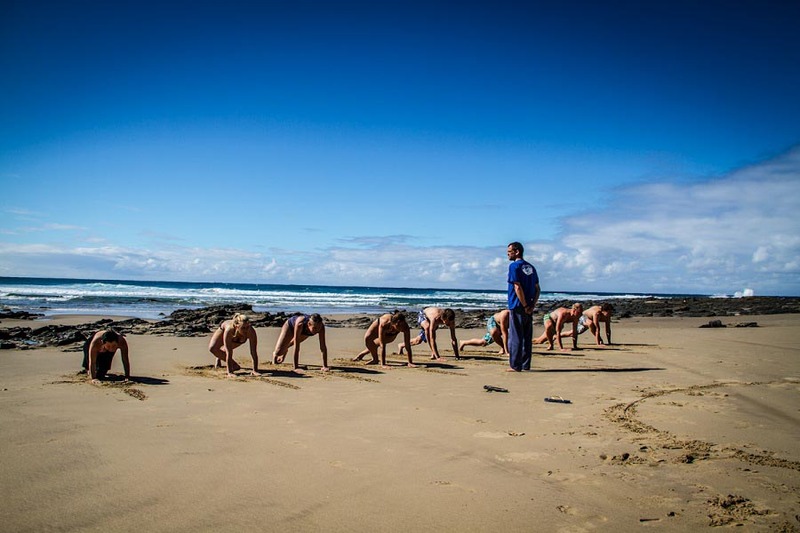 We start by teaching you the basics of surfing which involves exploring the theory, as well as ensuring progression within your surfing at the same time. After we instill you with a solid surfing foundation we help you improve, whether we teach you how to catch green waves or to turn we make sure you have what it takes to tackle the surfing world. The longer you surf the better you’ll get… then follows the addiction. Stay a bit longer, there is nothing stopping you, get your surfing to the next level and take your first steps to becoming an intermediate. 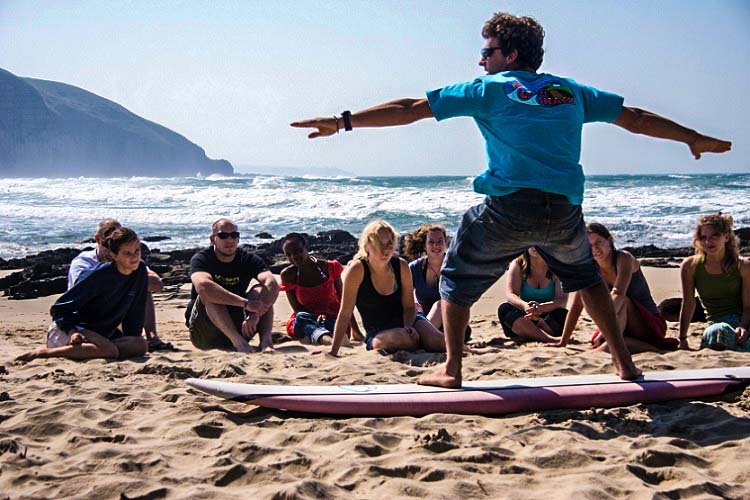 The Five Day Learn to Surf Package is an all-inclusive package covering dorm accommodation (you can upgrade if you want), breakfast and dinners, 7 surf lessons, a board rental and the shuttle rides to and from Mthatha. 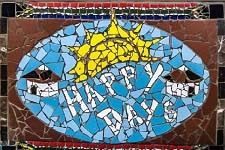 Don’t forget you’ll also get time to hang in the Coffee Shack hammocks and live the surfers dream. 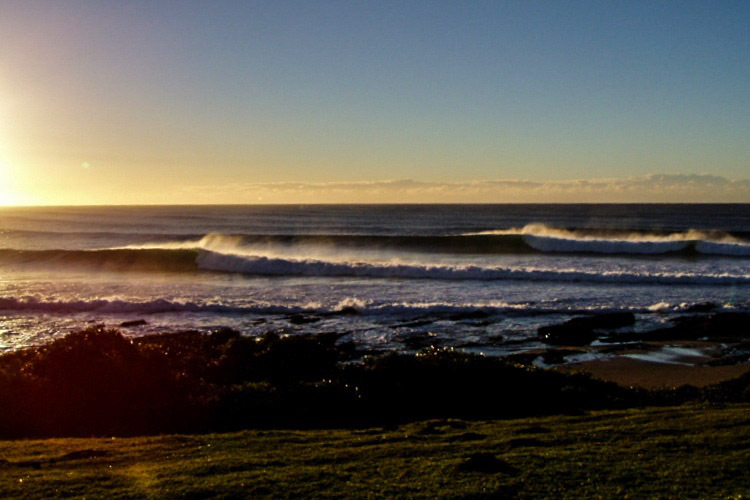 The Wild Coast boasts some of the South Africa’s best surf spots. 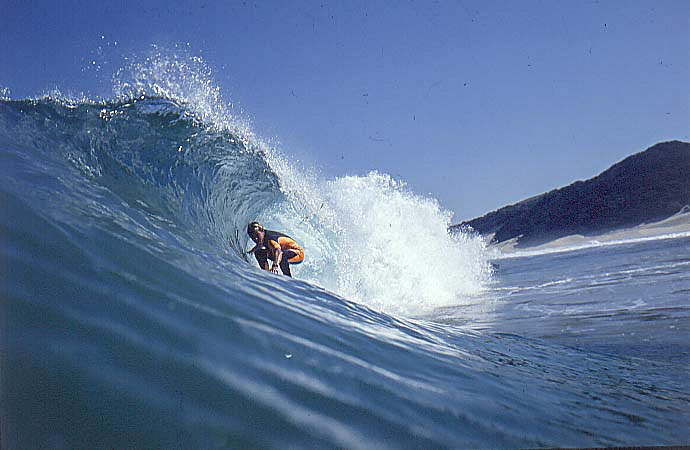 There are plenty of beautiful surf setups, with many world class right-hand point breaks, usually with no one else out. The best months of the year are the winter months, starting from April through to late August, when there is consistent clean, high period ground swell and an almost daily off-shore morning land breeze blowing. 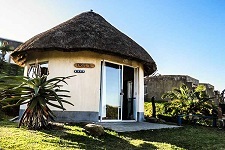 Surf wise Coffee Bay has a nice point and beach breaks, and is centrally located to base yourself if you want to go and surf some of the Wild Coast’s renowned right hand point breaks like Mdumbi and Mapuzi, to name two. 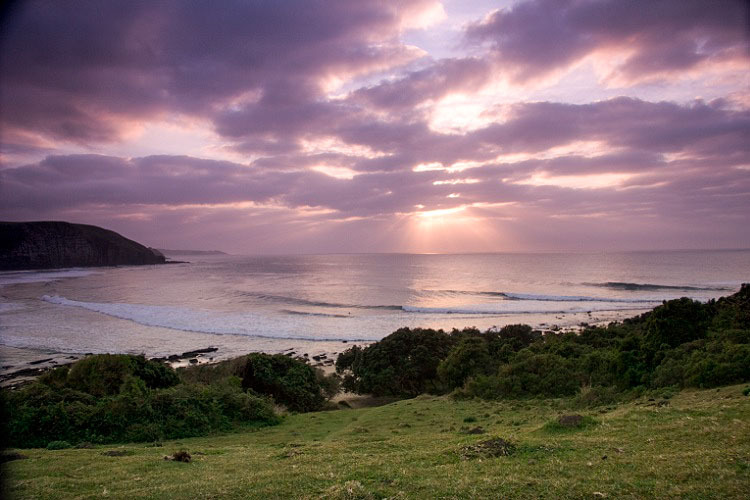 If you’re doing a surf trip, there are many other spots up and down the Wild Coast, many secret and other still yet to be discovered. 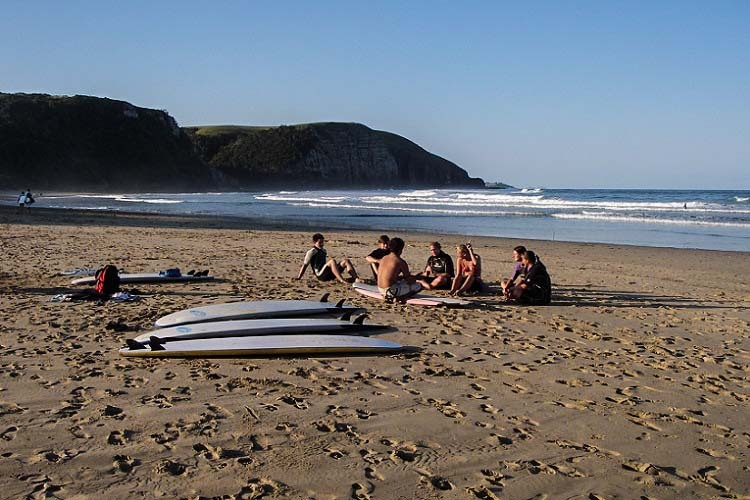 Dave and the resident surf instructors have surfed most of the Wild Coast’s surf spots and are a good source of info on local conditions. 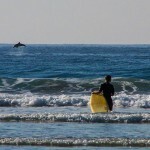 For the more accomplished surfers, we have short boards and wetsuits to hire at reasonable rates. 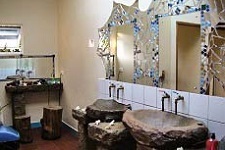 Check www.wavescape.co.za for more information.